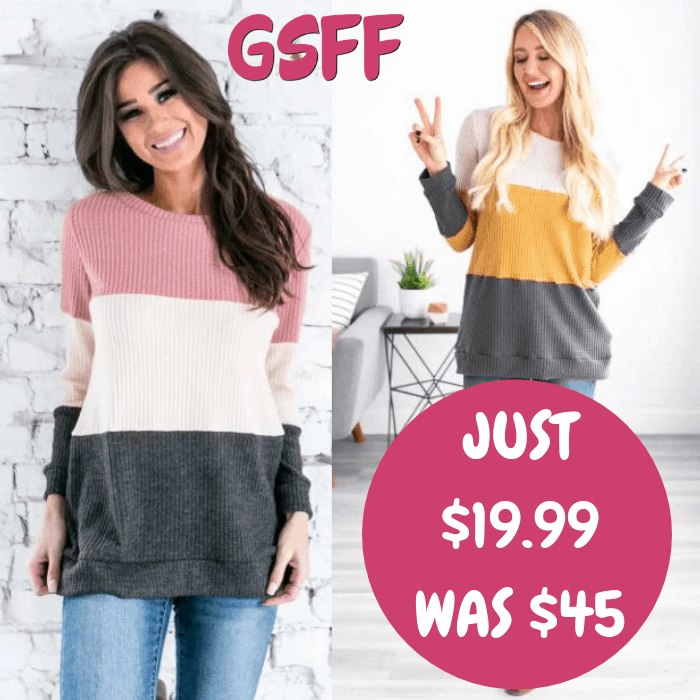 Reign Thermal Sweater Just $19.99! Down From $45! Shipped! You are here: Home / Great Deals / Reign Thermal Sweater Just $19.99! Down From $45! Shipped! This deal expires on February 2! Jane is offering this Reign Color Block Thermal Sweater for only $19.99 down from $44.99 PLUS FREE shipping! We can’t get enough of our new Reign Color Block Thermal! Perfect to lounge around the house in, or to run errands it is so comfy and easy to move around in! The color block design, ribbed thermal texture, and super soft fabric will make this a go-to item in your closet this season! Trust us when we say you won’t regret getting one of these!